The spine corridor of the annex is utterly pitch black. Torches pick out transformers, switchgear, wiring and ducts. However, light can be seen at the end of the corridor. 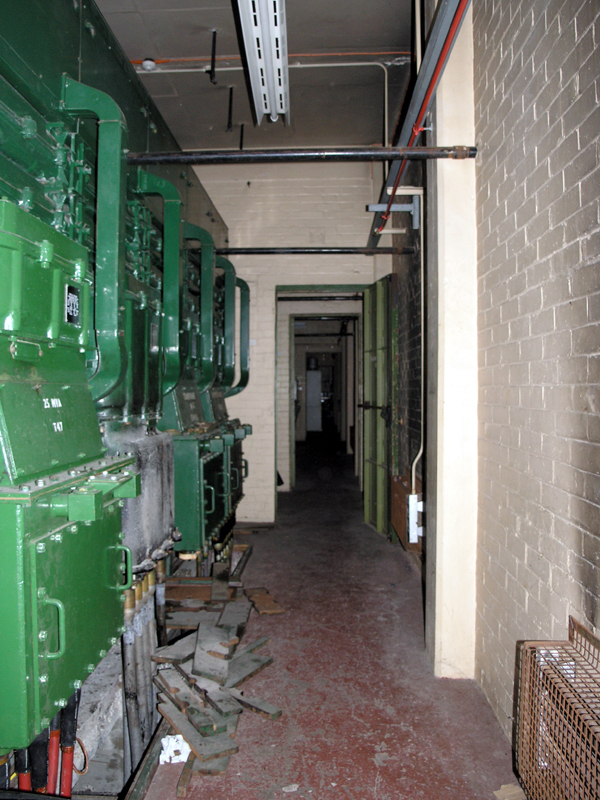 Looking south down the corridor with switchgear on the left.